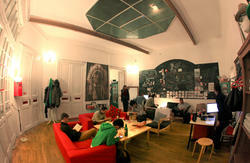 Puzzle Hostel is situated in the center of the historical part of town where everything is happening. The house and the place are absolutely charming. 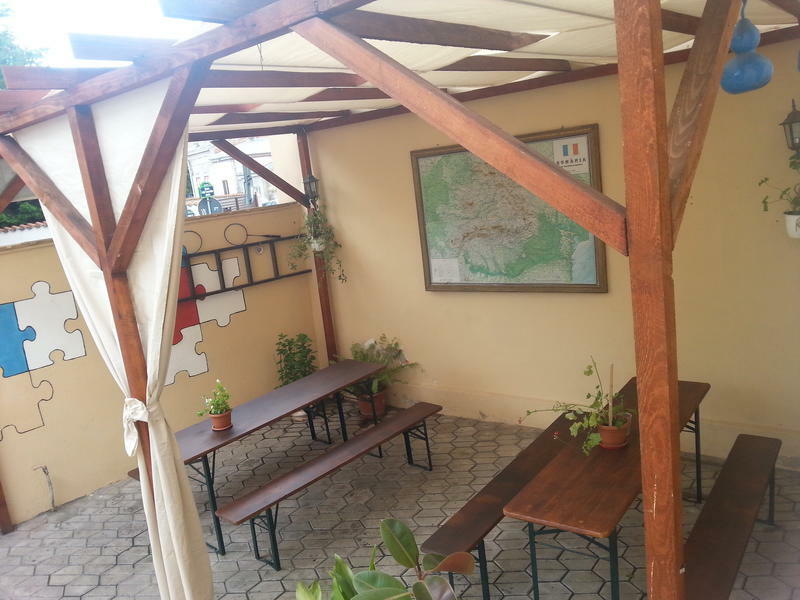 Opened in 2012, the hostel offers rooms with two, four, six or ten beds, free towels, free air conditioning in every room and free clean and fresh sheets, blankets and pillows. Guests can enjoy our fully equipped kitchen with FREE USE OF THE WASHING MACHINE, a lounge area with TV and an outdoor terrace. There’s also 24hr reception. We offer FREE BREAKFAST (milk, cereals, jam, butter, yogurt, salami, smoked meat, coffee and tea), free All-day coffee and tea, free lockers and luggage storage, free Wi-Fi & PC access, and even free maps of Bucharest. Hot running water is available 24hrs a day. Being situated in the center of the city, you can easily reach the main attractions of Bucharest on foot. Parliament Palace (the second-largest administrative building in the world). 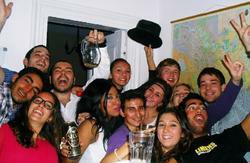 We’re only 1km distance from North Train Station (Gara de Nord). Here you will have an experience that you will never forget. We are waiting for you! Take Express bus no. 783 from the airport to Romana Square. Then take bus no.133 towards 'Gara de Nord' (North Train Station) for two stops or walk straight away (in the same direction - Gara de Nord) on Dacia Boulevard. At the second intersection (with Calea Grivitei Street) go straight ahead and the second street on the left is Luigi Cazzavillan. You'll find us at no. 44. By Taxi: Take only 'Fly' Taxi from the airport. Make sure that the meter is runing an check the price for km on it. The trip should not be more around 60 lei from Henri Coanda Airport (Otopeni Airport) or around 30 lei from Aurel Vlaicu Airport (Baneasa Airport). It's just 10 min. Walking distance (1 km) on the stret called 'Strada Garii de Nord' until the crossroad with Mircea Vulcanescu Street.You have to turn left on Mircea Vulcanecu street, then the third street on the right is Luigi Cazzavillan Street We are at no 44, he first house on the left. Do not take the taxi unless you really have no other solution. In this case do not pay more than 10 lei. Its eight minutes' walking distance from Dacia Boulevard to 'Gara de Nord' (North Train Station).